iluli Contest Winner and Donation to NYC Shiba Rescue! Sorry for the great delay in posting up the results for our contest. We've had a very busy week with Josh out of town and Emi being sick. Alas, we made it! Now without further ado, let's get straight to the two most important parts of this post. The winner of our tote bag contest and the amount that we're donating to NYC Shiba Rescue! Our randomly chosen winner is Shelley, owned by Yuki the Shiba Inu aka "The Yukinator". They have a fantastic website for Yuki filled with adorable pictures so head over there and say, "Hi" to little Yuki! Congratulations guys! Hope that you love the bag and use it often! Thanks to everyone for perusing our storefront and purchasing! It's so heartwarming to read your encouraging comments and great suggestions for what you'd like to see in the future for our shop, iluli Designs. It warms my heart to see that people enjoy the designs that I've put together to share with you all! As promised, 100% of our profits were pledged to be donated to NYC Shiba Rescue during our opening week and we raised $57.34 to donate to NYC Shiba Rescue. Not too shabby! Keep visiting the etsy storefront frequently as we will have more products and designs coming soon. Follow @_iluli on Twitter for all the latest news! Here's a sneak peek at the new tote bags that we'll be printing on soon! 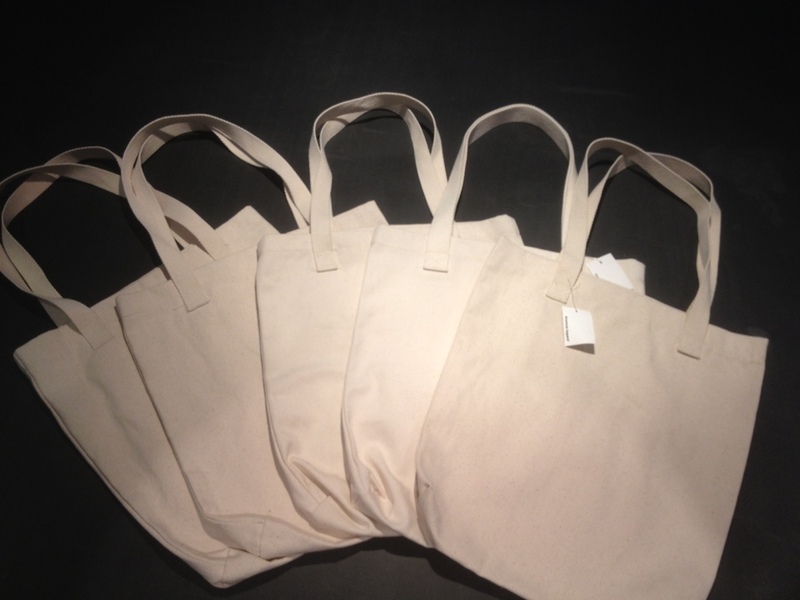 They're American Apparel Bull Denim Woven Cotton Totes!